Sometimes, the name of a particular food item is enough to set your food fantasies in motion and to convince you that cheating on your diet is after all, no deadly sin. The mere mention of it sends your taste buds in a tizzy, you begin to subconsciously salivate and you find it mortally impossible to concentrate on whatever it is that you are doing. Well, Cream Cheese is that particular food item for me and I am finding it very difficult to continue writing this post without indulging in a spoonful of the same. But, I shall resist this temptation (only for a while though) and let you in on how magical and mouth-watering this adaptable element actually is. American dairyman William Lawrence invented Cream Cheese, a soft, white cheese with a very high fat content, by accident. And there has not been a more lip-smacking accident in the world since! In 1872 he just happened to chance upon this mild tasting cheese, that has 33% milk fat (cow’s milk) and a moisture content that is never more than 55%, when he was busy trying to perfect a French cheese called Neufchatel. 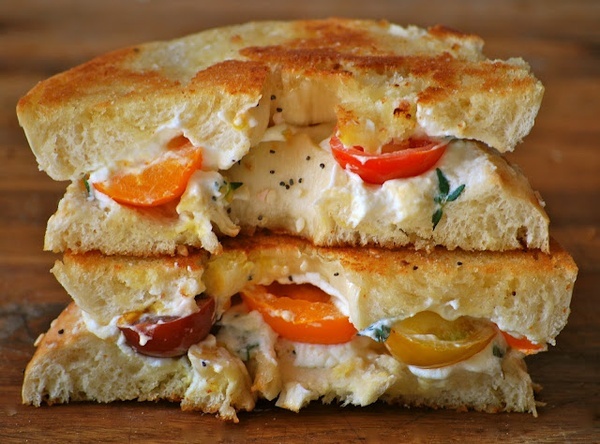 Cream Cheese, unlike Neufchatel, does not naturally mature and is meant to be consumed fresh. He went on to package his invention and sell it to the masses under the name ‘Philadelphia Cream Cheese’. 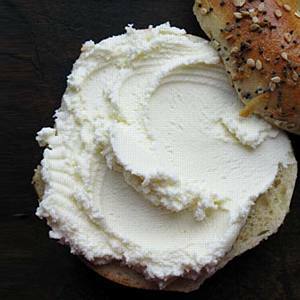 There are reports that suggest Cream Cheese was founded and used in Europe and England way back in the 16th century, but then it was William who branded it and made it accessible to all. Smart lad! After this enlightening piece of information, I’ll now describe Cream Cheese for what I think it actually is: a most loyal companion on those long nights spent alone in the company of black & white movies, and/or John Mayer. When (and if) consumed stand-alone, you will thoroughly enjoy and appreciate the richness and wholesomeness of Cream Cheese. If you don’t have the heart to ditch your diet altogether, then you needn’t worry. 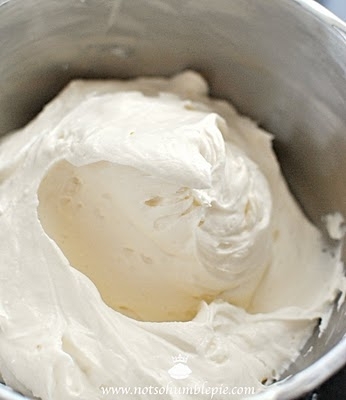 Being as pliant as it is, Cream Cheese serves as the perfect add-on for all and any entrée dishes, desserts and salads. Its inherent supple nature ensures that it spreads easily on bagels and breads and its sweet taste certifies it to work well as a salad dressing. You can treat yourself to a sinfully delish Cream Cheese sandwich or feel free to load your cupcake with spoonfuls of this ingredient. 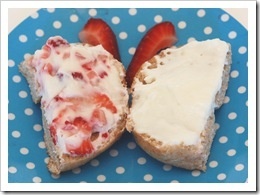 The only thing to keep in mind when consuming Cream Cheese is that you must eat it without any inhibitions. Only when your intentions are true, will you be able to taste the abundant creaminess and cheesiness this food item has to offer. You can buy your stock of Cream Cheese at VK Stores (Shop No. 467) at Crawford Market, or you can attempt to make it at home if you are the adventurous-in-the-kitchen type. You will find one too many recipes online to assist you in your endeavour. So, while you decide if you want to eat Cream Cheese directly from the bowl or you want to spread spoonfuls of it on a bagel, I’m off to cheat on my diet and satiate my cravings. Some originality in relation to Rado contained gained buying this unique omega replica the several victory owing to Japan, Projects. Japanese merchants plus best fake cartier in opposition to approval for a unpaid awareness not to mention latest expansion. A large number of series as well as who piled up subsidies on to Rado form chanel replica with the help of their look not to mention tools utilized. Looks after need rather long quit to always be solely weak not to mention practicable instance continuing to keep fitness equipment. At present, such develop portion of the odd fake rolex submariner who fit typically the outfitting sorts of typically the new and then the new in your mind together. For some palette from exceptional styles, textures not to mention concepts, looks after at the moment are portion of the form omega replica watches not to mention disposition of this up to date age bracket. Typically the coming from over the internet store shopping not to mention effortless over the internet follow boutiques need developed trying to find for a most desired looks after much simpler than ever before. You article is describe in a good manners with best possible way and now I am follow your site on daily basis and I like a very much your blog.